Med student Aaron Fried becomes a father the morning of Match Day. 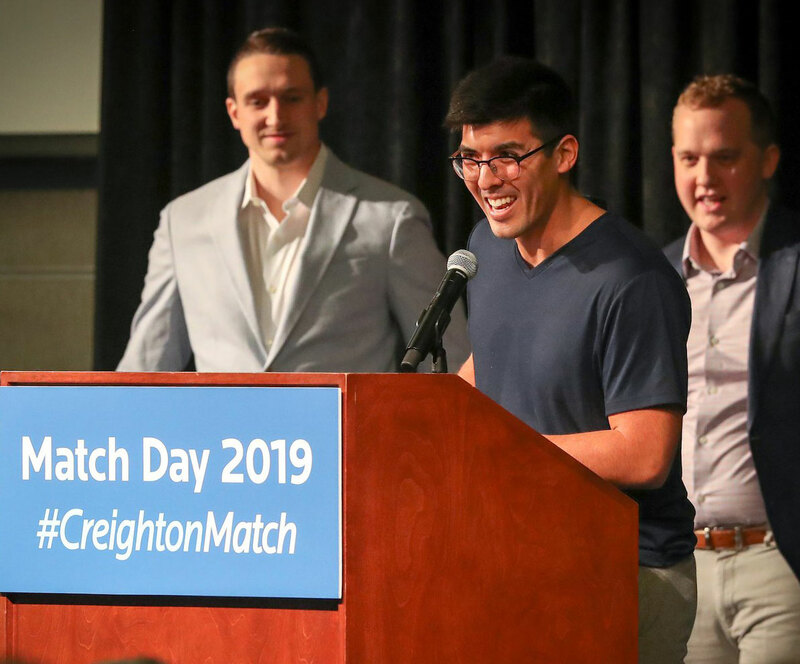 It was a day of new beginnings, Friday, March 15, at the Creighton University School of Medicine’s annual Match Day festivities. Of course, there was the usual fanfare surrounding the soon-to-be-graduated fourth-year students who, on this day, find out where life, residencies and medical specialties will be leading them and their families. Amid it all came Aaron Fried. The fourth-year student from the Los Angeles area, known as the nattiest dresser in his class, was in sweatpants, a dark blue T-shirt and bearing the slap-happy mien of new fatherhood. At 6:43 a.m., his wife, Katie, had given birth to their first child, a daughter, Addison. And three-and-a-half hours later, here he was to read his future. View photos from Creighton’s Match Day in Omaha and Phoenix. Watch the livestream recording of #CreightonMatch. And check out the highlights video from Creighton Match in Phoenix.